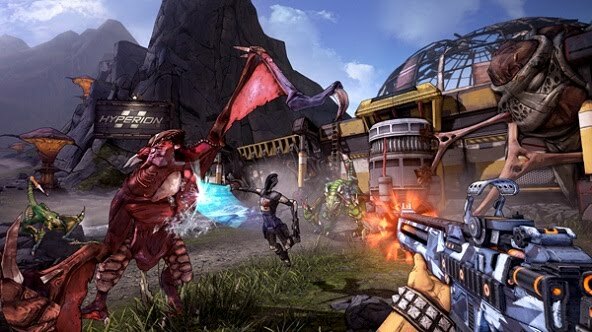 Borderlands is a loot, shoot and repeat in a first person shooter with tones of customization and open world to explore. It takes place on a planet called Pandora where a vault with untold richest are to be found. You play as 4 different Vault hunters all with unique skills and personalities to stop Handsome Jack leader of the Hyperion Army and some insane bandits from getting there first. You may go alone or take a friend as it has 4 player co op. The game has a very good level system which you have a set level and so does the enemy which can make for intense battles. You have a great variety of weapons which can be bought or found from enemies or loot-crates. Weapons also have a level system and different damage types such as fire or ice effects so you cant just be level 1 and get a level 20 gun you need to be that level or higher. 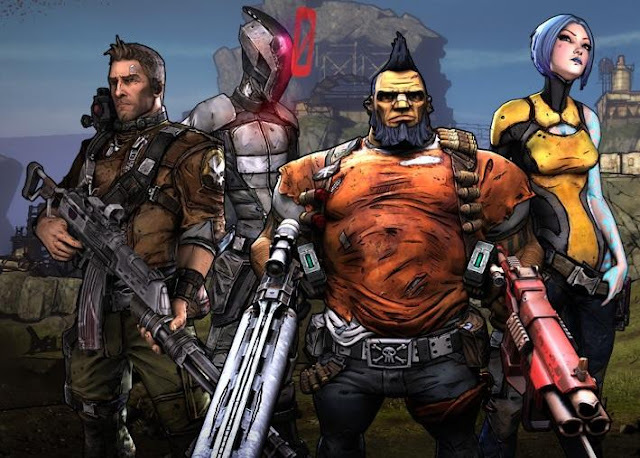 The characters also have there own power ups like Axton who can use a turret, Salvador who can duel two of his guns, Maya who has shield abilities as she is a siren and Zero who can vanish in second to get an advantage on enemy. The controls system is very fluid you can easily pick it up as its similar to Borderlands and good old split screen play with a friend but i don't really like the running it feels like your slipping as you run which I find a bit difficult to get used to but everything else is very good and easy to control no matter what version you play. The graphics are very simple looking with the type of art style but has its moments and can look really beautiful. The game has set up very pretty places were it shows off how nice the game looks which if you have the PC version it really delivers here. Every time I see an enemy I always cant wait to fight so I can hear the amazing sound of my gun fire getting a critical head-shot or me busting open an enemies skull with my hatchet its always different and fresh. There is also a great track to listen to when exploring which changes to intense stages when you are in combat. I have put a lot of time into this game and I feel I am still only starting off at the beginning I am constantly finding new places, people, quests, enemies and tones of LOOT. With all these you have more characters with different abilities and personality which will make you want to play the game again and again. 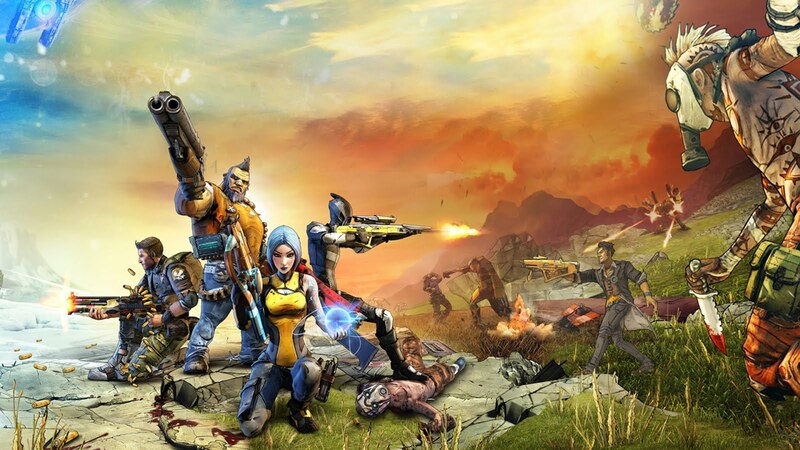 Borderlands 2 is an endless killing spree that you never want to end with great visuals interesting characters, great story, fun co op and to much loot to ever fully see. 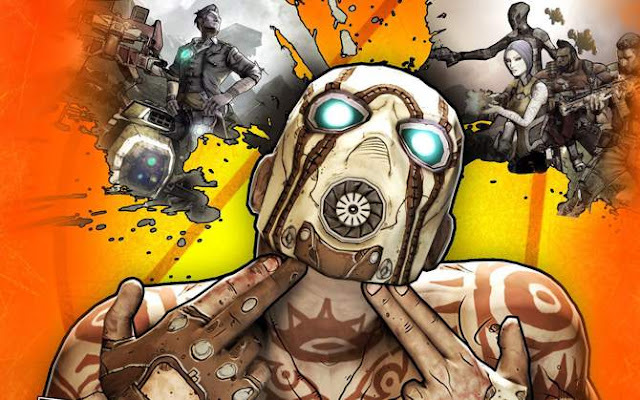 In summary I feel Borderlands 2 is a great game with tones of content and is very unique everyone should play this. I give Borderlands 2 a rating of 9 out of 10 a must own.